Starting today, you have access to download statistics for your CurseForge projects on both the Twitch Desktop app and mods made available on the CurseForge listing page. Download statistics are a critical component to the overall engagement with your project. Using these stats, you can track them against releases or improvements you make. 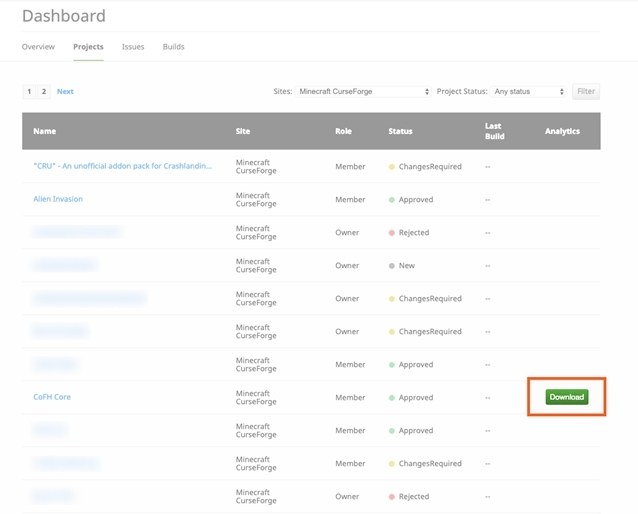 To access project analytics, visit your CurseForge dashboard. Any approved projects available on CurseForge will have a green download button under the analytics column. The .csv generated provides daily stats on your project. For more information, see the Mod Analytics documentation here. Thanks for being a member of our community, and we hope you enjoy access to project analytics! Thanks for this great feature! I would also love to have more data than just the last 3 months. And maybe at some point we can get such a graph in the browser? Would save me the effort of maintaining my excel sheets. I'm getting an error when I try downloading them: "There was an error fetching the mod analytics report. Please try again later." I was having this, but a day later it was resolved. I think it is caused by your stats still being processed. If your projects are old, im not sure what explanation could be given. If anyone else is having an issue post a ticket for help and they tend to fix it quickly. It has to be fixed for each user? And yes I'm having this issue too with all of my projects. Yes now it is working for me too. So did you to file a ticket? Still nothing different for me. i would love to have this in an api format. Nice start, can we also get older data? I would love to see how my current progress compares against last year. Also can we get page visits added to this data instead of just downloads. 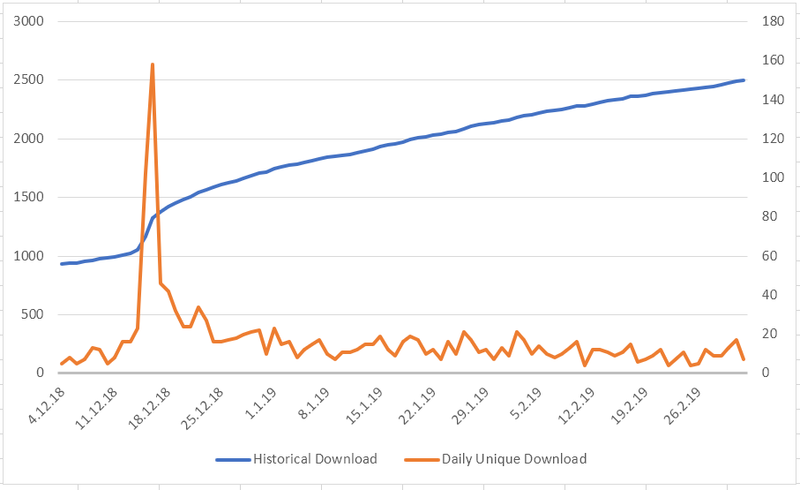 I would like to see how well my traffic looks compared to my downloads. This way I can target improvements to the quality of my info page and images. I second for visit count data. Would be very useful. I asked via twitter and no you can't have old data, they don't have that data available from before the first date on the current CSVs. I saw that tweet, and it didn't say no. It said they don't have it in a way they can access it. Which tells me they have it but the system they use doesn't have access to it. After all the transaction page has records going back to 2014. So that data is there and can be viewed.